Dear Members, Please be informed that the Board has received, on Monday 26th November 2018, a letter of resignation as Director of AFRINIC from Dr. Dorcas Muthoni Gachari. The Board would li...	read more.. The ASO representatives in the AFRINIC region have launched a short survey with the key questions from the ASO consultation review at https://survey.afrinic.net/index.php/732247 Please find some...	read more.. The Governance Committee has extended the deadline for submitting comments on the AFRINIC bylaws to 30 November 2018.The Governance Committee has decided to exercise one of its mandates, which i...	read more.. The Governance Committee has decided to exercise one of its mandates, which is to look at the Bylaws periodically when the need arises. 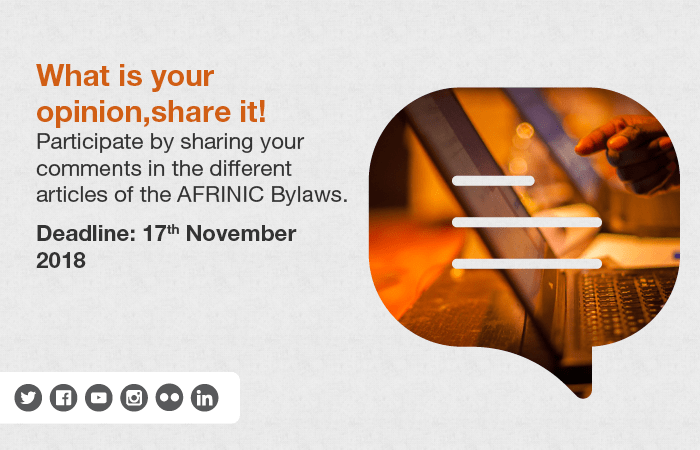 The current Bylaws have served AFRINIC for some time now. A...	read more.. 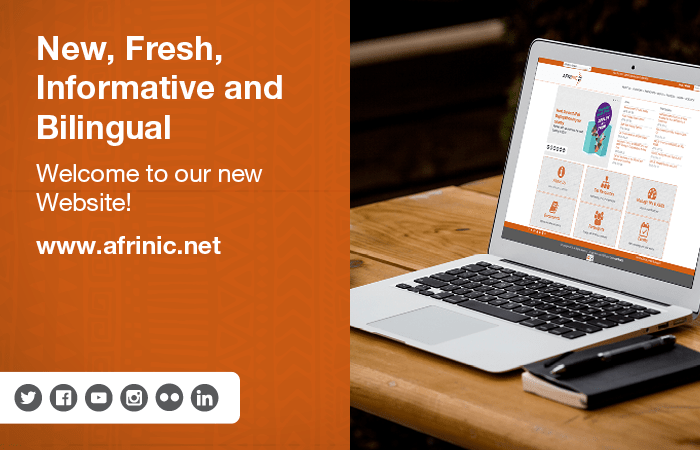 This is to inform you that we have deployed a new AFRINIC website https://www.afrinic.net. The new website has been in the works for the better part of this year. It comes with a n...	read more.. Please note that Wednesday 7 November 2018 is a public holiday in Mauritius. AFRINIC Offices shall be closed and will resume business on Thursday 8 November. Any urgent issues can be addressed to: ...	read more.. Please note that Friday 2 November 2018 is a public holiday in Mauritius. 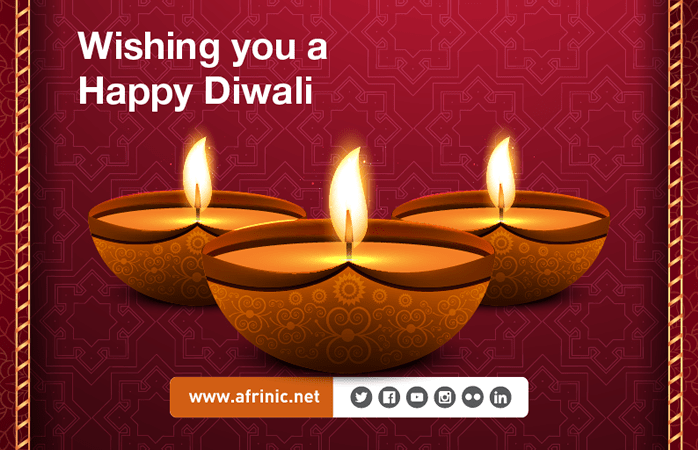 AFRINIC Offices shall be closed and will resume business on Monday 5 November. Any urgent issues can be addressed to: -&nbs...	read more.. Please note that AFRINIC offices will be closed on Wednesday 31 October 2018 for our Staff Team Building event. We shall resume business on Thursday I November 2018. Any urgent issues can be address...	read more.. 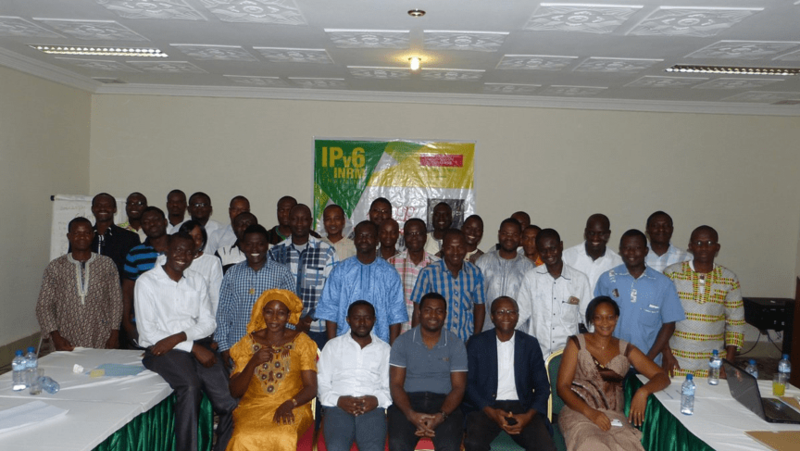 Registration is now open for the upcoming AFRINIC Internet Number Resources Management (INRM) and Understanding and Deploying IPv6 Workshop. 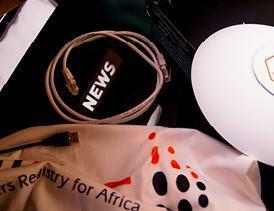 Location: Ouagadougou, Burkina Faso Date: 11 – 14 Decembe...	read more..